Links - Grupo Luigi Rossi de América S.A.
continue to do business with them. Founded in 1999, Cigar.com is the Web’s home for cigar aficionados who are incredibly selective when it comes to their smokes. The company is built around its staff, which is widely recognized as the most knowledgeable tobacconists in the United States. Their consultants work one on one with customers to answer the toughest questions and help select the perfect cigar to match the tastes of each individual consumer. All of the cigars sold by Cigar.com are stored and aged in a carefully monitored climate controlled facility in the U.S. Furthermore; all purchases are handpicked by cigar experts to ensure the highest quality in packaging and shipment. If you are as serious about cigars as Shorty Rossi, then Cigar.com is your only stop when it comes to filling all of your cigar needs.Purchase your Shorty Cigar today! 10% of the proceeds go to Shorty’s Charities! Domestic and Exotic Animals For Film, TV, Commercials, Print, Private Events, trained by owner and operator Timothy Williams. Beautiful life-like portraits of your pet, faithfully rendered in acrylic on canvas. Original hand painted artwork from your photos… A treasured keepsake or the perfect gift for your favorite pet lover. No Flakes Web Design specializes in custom website design and Graphics for internet and print, website construction, website redesign, and website maintenance. We are responsive and easy to reach. We return calls, we don’t make promises we can’t keep, and we won’t break the bank. If she had to describe herself, Dawn would use the one word that has been used to describe her by many other artists and friends, Prolific. She creates with her moods. She creates all the time. She is a humble artist who appreciates each art sale like a gift making it’s way out to the world. Inspired by artists of her time, such as Lassen, Bev Doolittle and Scott Gustofson and most of the masters, her art is very colorful and brings people out from all over the world with very colorful personalities. 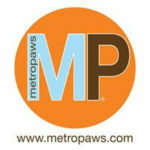 Metro Paws® LLC is a Family-Run Pet Business. We Are Dog Owners. We Are Dog LOVERS. We Are Eco, Chic and Unique. The Poopcase®, Metro Pads®, Metro Balls™, The Metro Cube™, The Metro Paws Tote and our EXCLUSIVE Smear Campaign® Poolitical Bags! DON’T FORGET our 501(c)3 Love and Licks® Foundation collection – a percentage of proceeds from those product sales goes back to the pups! opened their eyes to the possibilities of Hemp. Only 5 percent of the population even knows what Hemp is. We want to educate the masses and get this incredible compound into the hands of those that need it. Black Gold Powder The only dark colored styptic powder alternative! Made with detoxifying minerals and soothing organic herbs. BG Powder conceals while it heals! Our top priority is collecting then dispersing premium cigars and accessories to American Service Men & Women serving in combat zones. 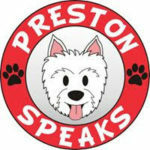 The Portland Pit Bull Project is dedicated to bringing awareness in the Portland Oregon area about pit bulls specifically and bully breeds in general. Our goal as an advocacy is to help the public better understand that this breed type, and the several breed types typically identifed as pit bulls, are capable of being safe and loyal family pets. FBR’s job is to provide a healthy and loving temporary home while we look for forever homes for our bullies. In addition, FBR is commited to promoting responsible ownership of bully breeds, fighting against breed discrimination, spaying and neutering pets, reporting dog fighting, and demonstrating to the community that bully breeds are loyal, loving, and wonderful forever companions. Minneapolis, MN based non-profit working to unite all animal lovers to end insurance & housing discrimination towards all dogs & their families across the country. Goughnuts pet toys are designed to address the simple but serious issue of SAFETY. The GoughNuts chew toys are designed knowing that safety and fun go hand in hand. Each GoughNuts Ring and or Stick has included in it’s design the GoughNuts patent pending visual safety indicator where Green/Black/Orange/Yellow means “Go” and Red means “Stop”. We also offer many interactive products (Ball, TuG, Kups). All have Shorty’s dogs have a goughnuts toy. LBWF is a non- profit, 501c3 tax deductible organization dedicated to rescuing and rehabilitating abused, neglected, and abandon animals from the harsh streets of the Los Angeles area, as well as from the overcrowded and overwhelmed city and county animal shelters. Shorty’s Pit Bull Rescue donates its proceeds to LBWF and also houses some of its pit bull rescues. Pinups for Pit Bulls, Inc. works to educate the public about the history and temperament of the American Pit Bull Terrier and Bully Breeds, to raise awareness about Breed Specific Legislation and Breed-Specific abuse, and to raise funds for bully-breed-friendly rescues and dogs in need. Our goal is to reestablish the defamed reputation of the Pit Bull as America’s premier companion animal, war hero, and therapy dog. Sunny Dog Ink provides pet first aid and safety tips to help owners keep their pets healthy and well. You can even sign up for Pet First Aid and CPR classes as well as buy a variety of products for your pet, such as a Pet First Aid Kit.